This post was first published by The Croydonist on 21/12/2018. So now that we’re winding down for the festive season and have wrapped up the pressies and sorted out Christmas lunch (no and no! ), it’s time to sit back, relax and look back at 2018 as it’s drawing to a close. 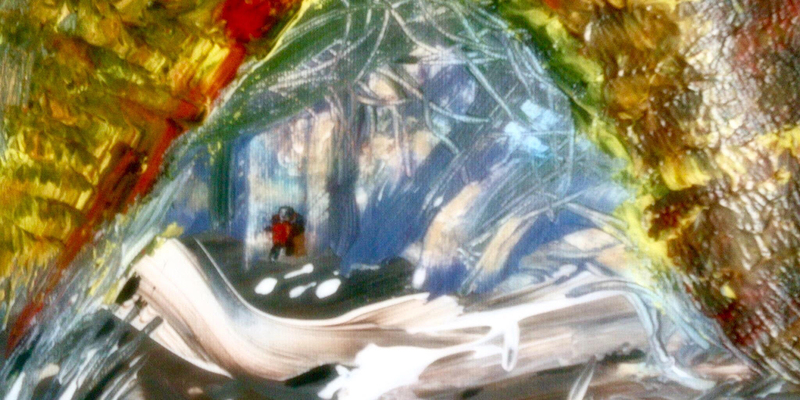 Despite national politics led by the B word, Croydon has been buzzing with creativity and new projects. Let’s look at some of our top picks of the year, roughly in chronological order. 1. Vote 100This year the UK celebrated 100 years since our Parliament allowed the first women to vote. To mark this Croydon hosted various events around International Women’s Day in March, including creating banners for the London March, an event at Boxpark, and most notably for us Croydon Cycle Theatre’s cycle ride called Pedal for Progress, as one of their many Vote100 related events throughout the year. 2018 was the year for some seriously good reads by Croydon authors. We featured three very different and equally absorbing non-fiction books. In March we chatted to John Grindrod about ‘How to love Brutalism’ – a must for any lovers of sixties brutalist architecture. In October we found out more about Mark Blake’s new book on the fascinating life Led Zeppelin manager and Croydonian Peter Grant. Then at the end of last month we caught up with author Elizabeth Sheppard to talk about the journey of writing the gruelling and uplifting story of artist Nicky Nicholl’s life, Not A Proper Child. There’s still time to buy all three in book shops for last minute Christmas presents. Who said performing arts is dead in Croydon? We had a great 2018 experiencing some very varied theatre. At the end of April The Croydonites Festival of New Theatre returned for its third year. With an eclectic programme of theatre and dance over three weeks, we particularly enjoyed Vinicius Salles’ Glitch where we used our phones to communicate with the dancer. (Yes we were encouraged to use our phones at the theatre!). Zoo Co have also had a jam-packed year, bringing their touring show Giant home for a final performance in May (whilst learning to sign to make it an accessible experience) before launching an extensive and inclusive programme from their new HQ in the Whitgift Centre called Theatre on the High Street. 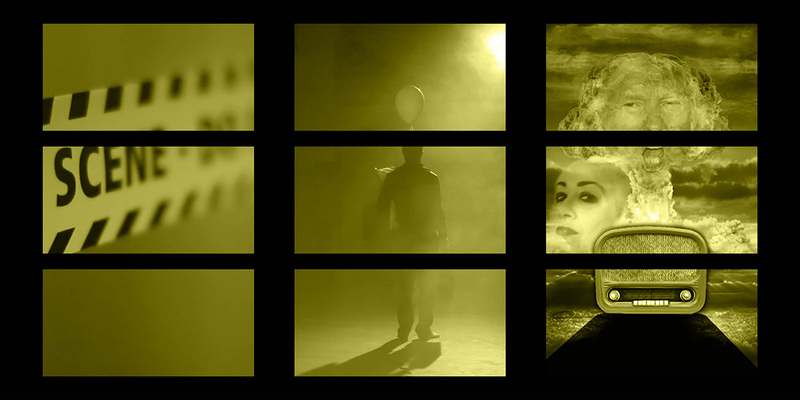 In July the performance and noise art festival Tempting Failure returned too, which just goes to show that Croydon arts connaisseurs appreciate daring, exhilarating, and innovative performance. Then for those of us who like some musical theatre CODA turned 75 this autumn and celebrated with an all singing all dancing cabaret taking us through their history. With the Fairfield Halls reopening in 2019 we can only see theatre and performance becoming even more exciting. 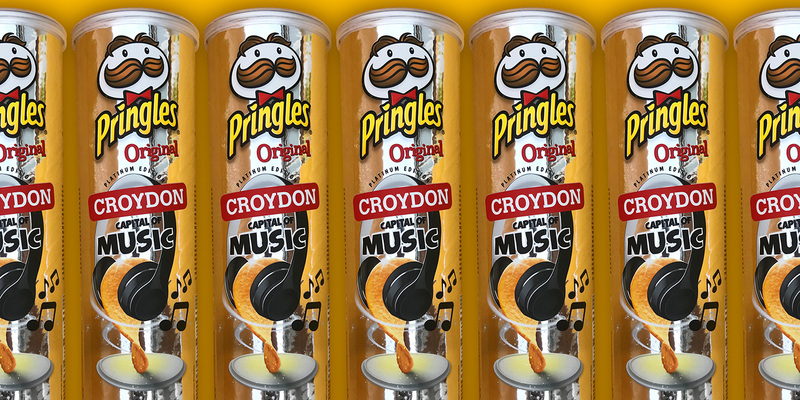 At the end of the summer we learned that Croydon had been crowned the UK capital of music, after some nifty research by Pringles who enlisted global music streaming service Deezer and music journalist Robbie Wojociechowski to research the hometowns of the UK’s most streamed artists, and find out the country’s differing musical tastes. With our borough being the birthplace of punk, the roots of dubstep, and now the hot bed of grime and rap artists we weren’t surprised we’d become the nation’s musical capital. 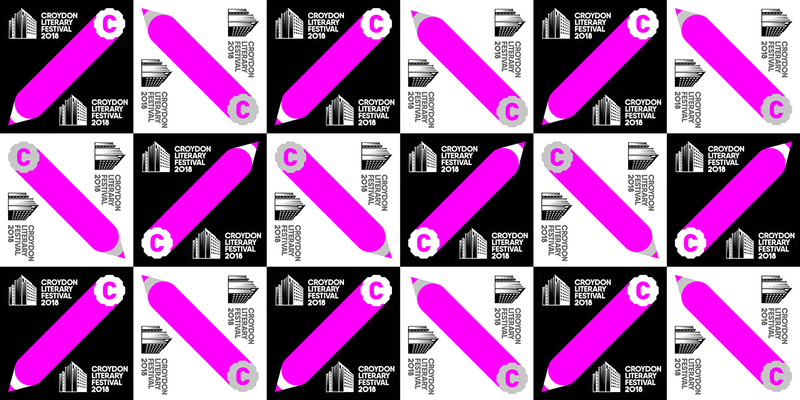 As Croydon FM goes from strength to strength and new music festivals Cro Cro Land and The Ends arrive here next April and May we’re excited to see that Croydon is growing as a hotbed for music. 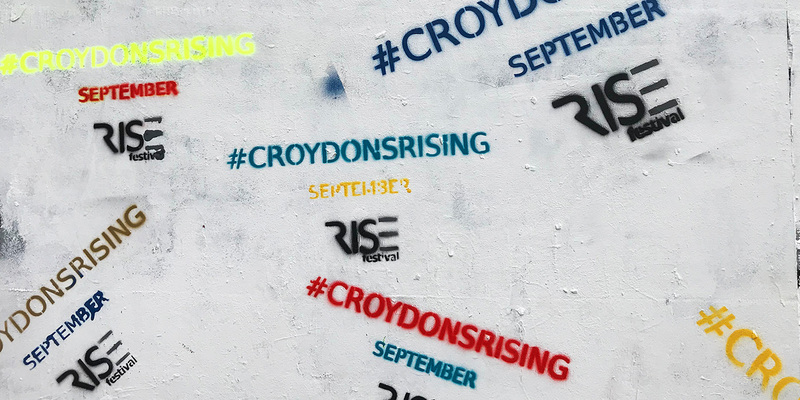 We simply can’t talk about 2018 highlights without mentioning RISE Gallery’s 10 day festival which took place in September and saw over 60 new murals and installations land in and around Croydon’s town centre. There were street art tours, film screenings and a block party to celebrate the urban art scene, and it was exhilarating to see so many artists working around our streets. Now the grey winter months have descended we can’t help but smile when you pass the diverse artworks, from the truly immense mural by Run on the side of the Old Post Office at East Croydon to Whatshisname’s phone box sculpture on North End. Our streets continue to be an accessible art gallery and long may it continue. 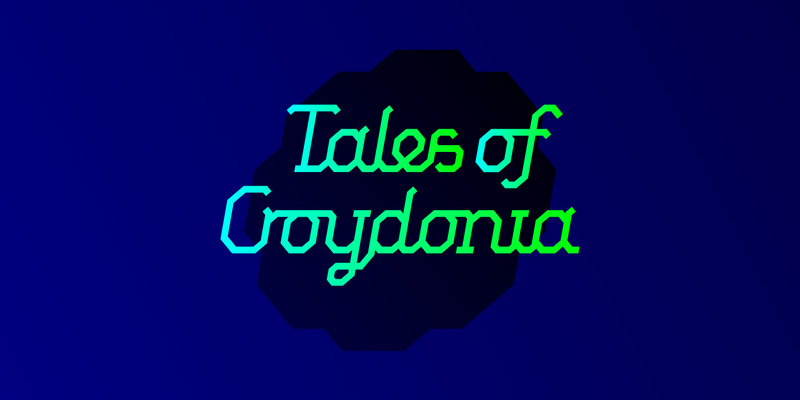 At the end September we started our own podcast series, Tales of Croydonia, which adapted the format of The Oval Tavern’s live nights of the same name, to bring Croydon stories straight to your earphones. Our 6 part Season 1 includes stories by Elizabeth Sheppard, Amy Jones, Jenny Lockyer, Rob Preston and Charlotte Anne Leonard. Look out for season 2 in 2019, featuring our short story competition winner (see 7). 2018 has been a notable year for Croydon writers (see 2), so we were very pleased to see The Croydon Literary Festival return for a second year at the end of October. We were even more pleased to be able to collaborate with the festival to run a short story competition celebrating all things literary in Croydon. The competition closed on the day of the festival then we had the tough (but enjoyable) task of reading all the entries to choose a winner. If you haven’t had chance to have a read you can find the winning story, Jam Sponge, by South Norwood resident, Emma Hope-Fitch here. We went all retro with our shopping experiences this year. We were in vintage heaven when we visited newly opened vintage shopping mecca Atomica on the Purley Way – if you love any 20th Century decade for furniture, homeware or fashion get yourselves down there. We also discovered the Haynes Layne markets off the Crystal Palace Triangle – a real treasure trove of vintage bargain hunting, coupled with a food market to keep your shopping strength up. 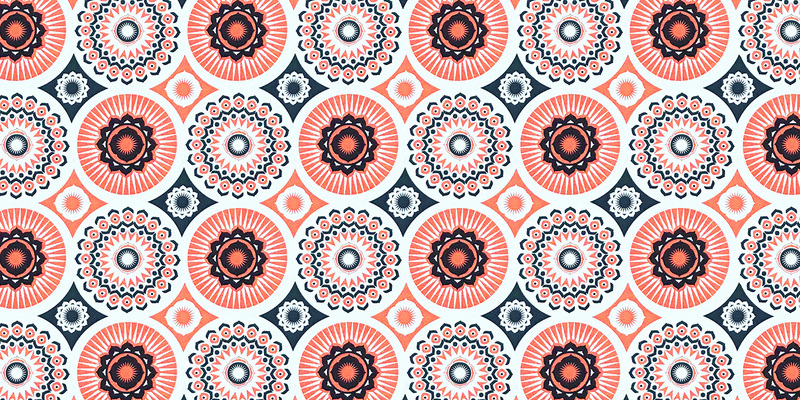 Visit visit visit! 2018 has been all about the coffee, with some great new (and quirky) additions to our Croydon café culture. Whether you want a hot beverage whilst you immerse yourself into the world of virtual reality at Limitless VR, or enjoy some veggie food with a cuppa at Coffee Shotter there seems to be a café for all tastes. 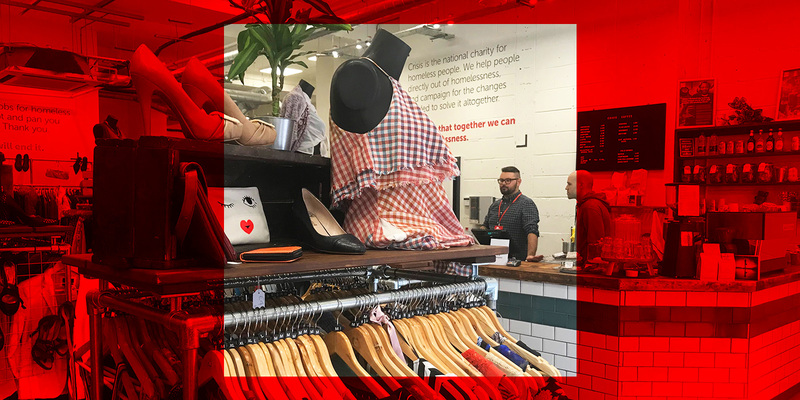 One of our faves has to be the café opened by the new Crisis Charity shop down Crown Hill (back to our retro shopping obsession – see 8). Some slightly more boozy (but brilliant) establishments which have also popped up this year include Veeno, Urban Xchange and The Joker, all which would serve you coffee if you don’t fancy something stronger. And last but by no means least, this autumn saw the launch of our Croydonist artist Christmas cards which we sold to raise money for local homeless charity Nightwatch. 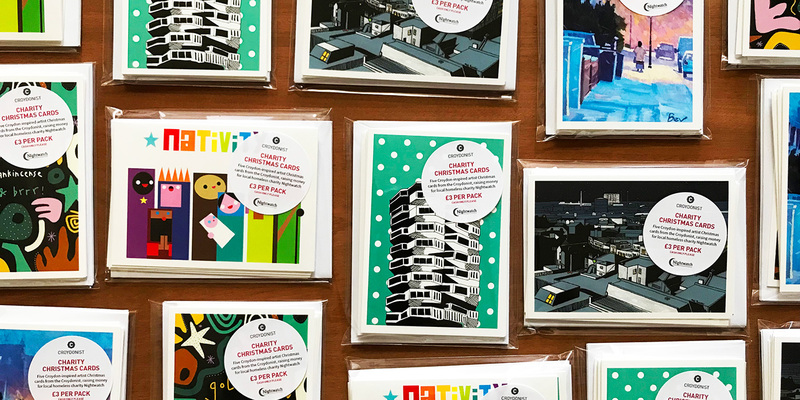 We teamed up with five wonderful Croydon inspired artists, Kate Marsden, Bev Jones, Cherilyn Yeates, James Oliver and Matt Bannister to create these cards, and weren’t quite prepared for how popular they’d be with the Croydon community. Thanks to our lovely stockists, the Made in Croydon Christmas chalet, the Oval Tavern, Turf Projects and The Photo Café, we sold out of two print runs and nearly 500 cards have been bought to send out season’s greetings from Croydon. Whilst we’re on the subject of artist collaboration, we’ve seen seven different artists showcase their work on our social media headers this year. Cherilyn kicked off 2018 for us, followed by Frankie Curtis, Tina Crawford, Kay Lovesah, Morgan Davy, The Third Man, and Dimitra Rizou who takes us into 2019. Bring on more artist collaborations in the new year. So that’s eighteen nearly over folks. All that remains is to thank our readers, contributors and collaborators this year, and to wish you all a happy festive season for 2018. Cheers to Croydon. 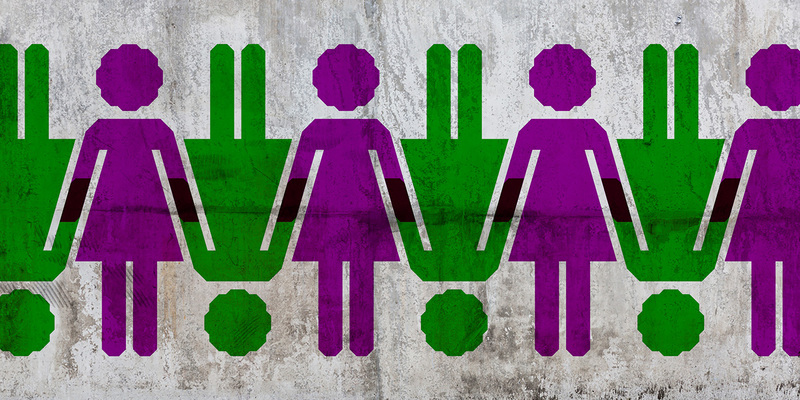 Join the working mother’s club – Croydon’s The Mum Hub!